This is a grueling defense drill because each offensive player that comes in is going to push and get to the basket as hard as he can. 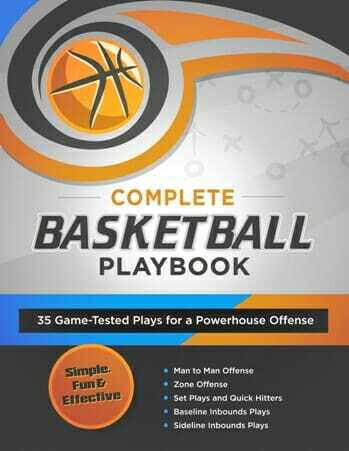 The defensive player has to be able to be ready to defend not one, not two, not three, but four or five or six players. We keep two players in–one on each side. Face 2 offense players in front of the defense players, and one at the foul shot position with the ball. The offense players will begin the cut as the player with the ball prepares to pass to that player. The defense player must mirror and cover the offense player and try to prevent him from getting that ball. 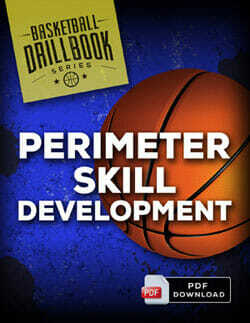 The focus of this drill is intensity and to put pressure on the defense. Whether the shot is made or not, the ball is returned to the middle man who then passes to group on the opposite side of the court. Alternate sides until all players have completed this drill. “The bowl” comes from the term that you’re just like in a fishbowl; everybody sees you. The coaching staff sees you, your teammates see you. So there’s a lot of pressure on this particular drill. They will go through 10 or 12 offensive opponents just so they get the repetition over and over and over again. During this drill, remind your basketball defense that we’re not trying to run and coast with him, run and run in position. You don’t see sprinters running straight up. If you want cut down your turnovers, improve your passing, and develop a crisper, more effective offensive attack – then the Perimeter Skill Development Drillbook is just what your team needs! 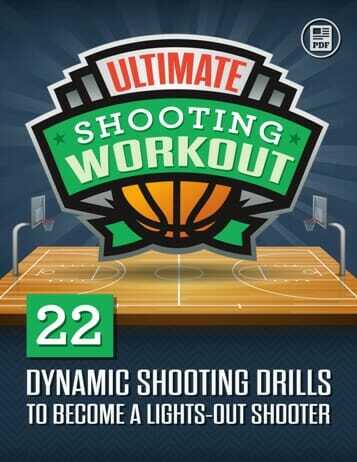 Inside, you’ll discover 21 simple, fun and effective drills for shooting, passing, and ballhandling. 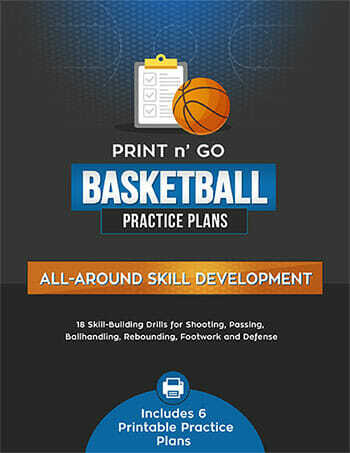 You’ll get instant access to an entire season of practice ideas for every age and competitive level… from basic fundamentals to advanced in-game strategies and tactics.